At Global Auto Transportation we are proud of our exotic car transport services. It is an honor for us to offer a helping hand to our clients with their exotic vehicles. We know that our customers want to be sure that their classic, sport or antique car is shipped fully safe. Our team members totally understand your worries. We are dedicated to shipping your valuable, unique cars with the highest standards of quality. When you are looking to ship an exotic car, your main concern is the safety of auto shipping. 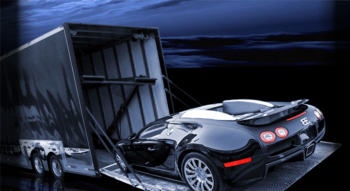 At Global Auto Transportation we know how to deal with exotic car transport. We assure that your car will be in good hands with us. Whether you are moving, going on a vacation, or buying a new car, we can help you. Call one of our agents today! They are always ready to answer your questions. Many car collectors stay with us through the years, transporting their luxury cars. Treating each car individually is our top priority. We suggest premium service for our customers as well as a price beat guarantee. We always do our best to get you the best deal possible! Exotic car transport comes with enclosed auto shipping. We offer special trucks for this kind of shipping to protect your car from all possible damages like weather or rough roads. Enclosed car transport is always the safest option for your vehicle. This is the best choice if you need to ship an exotic car. Every year new expensive cars come to the market. Luxury cars such as Ferrari, Porsche, BMW, Mercedes, Bentley, Hummer and many others are leading the car industry market today. Many people work for years to finally have the pleasure of owning a car like these. When you own one of these cars, we know you want to feel ensured and secure with your car shipping company. Global Auto Transportation is here to help you with that! Contact us for free auto transport quotes today. GAT will ship your car safely!